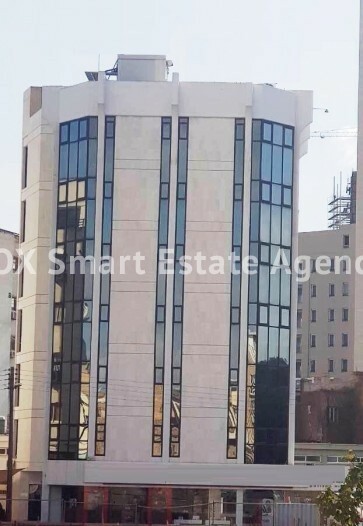 This building is located in the very heart of the business centre of Nicosia and its value is expected to rise even higher upon completion of the main square, due in a few months. It consists of a shop on the ground floor with a mezannine, plus 5 floors on top. There are plans in place for the addition of another 7 floors to be added, which can be either offices or residential flats. Currently the total area of the building is 1,200 square meters, not counting the basement of another 400 sm. Upon completion of the suggested floors, the building will have a total area of approximately 2,000 square meters. There are 13 parking spaces in the basement and more on the ground floor area. The price is negotiable and represents the building as is now. Serious offers only please! FOR MORE INFORMATION KINDLY CONTACT ME DIRECTLY ON 99641139!